The NHS announced at the top of this month that it would test Babylon Health‘s ‘chatbot’ app for the next six months to 1.2 million people in north London. During the call to the 111 medical hotline number, they will be prompted to try the app, which invites the user to text their symptoms. The app decides through the series of texts, through artificial intelligence, in minutes how urgent the situation is and will recommend action to the patient up to an appointment with their GP, or if acute to go to Accident & Emergency (US=emergency room or department) if the situation warrants. It will launch this month in NHS services covering Barnet, Camden, Enfield, Haringey, and Islington, London. TechCrunch. The NHS’ reasons for “digitising” services through a pilot like Babylon’s app is to save money by reducing unnecessary doctor appointments and pressure on A&Es. It provides a quick diagnosis that usually directs the patient to self-care until the health situation resolves. If not resolved or obviously acute, it will direct to a GP or A&E. The numbers are fairly convincing: £45 for the visit to a GP, £13 to a nurse and £0 for the app use. According to The Telegraph, the trial is facing opposition by groups like Patient Concern, the British Medical Association’s GP committee, and Action Against Medical Accidents. There is little mention of wrong diagnoses here (see below). The NHS’ app track record, however, has not been good–the NHS Choices misstep on applying urgency classifications to a ‘symptom checker’ app–and there have been incidents on 111 response. It depends on the study you read and how jaundiced your view is. If you believe the StartUp Health Insights 2016 ‘Health Moonshots’ report, 2016 digital health funding has hit a zenith of $8.18 bn (up 38 percent from 2015), with 500 companies enjoying funding from over 900 individual investors. Yet over at fellow funder Rock Health, the forecast is far more circumspect. They tracked only half the funding–$4.2 bn in funding–with 296 deals and 451 investors, down from the $4.6 bn over 276 deals in 2015. Mobihealthnews rounded up 2015’s hot funding in the mobile health/health tech-related space, with helpful links to their articles. They cite as we have previously [TTA 16 Dec] Rock Health‘s flattish year-to-year 2015 total of $4.3 bn, but also StartUp Health’s bloom-off-rose 2015 digital health total of $5.8 bn–larger than Rock Health’s tote, but 17 percent off their 2014 total of $7 bn. If you consider the proportions: the top 10 deals raised $738 million–$130 million alone to the endlessly funded but yet to take over the world ZocDoc –the roster below $20m remains the longest, which is completely in accord with the lower part of Rock Health’s pyramid of angel-A-B rounds. Yet Aditi Pai’s detailed summary strikes this Editor as useful in an unanticipated way. There is a certain sameness in the products and services of these companies, as if funders are seeking validation in similarity. ZocDoc, DoctoLib and Vitals–doctor profiles and appointment booking. Sharecare, Welltok, Novu, Noom, AbilTo, SocialWellth, Health Recovery Solutions, Jiff–health and wellness engagement programs/apps, many for corporate programs. Whoop, Sano, Sproutling, TuringSensor, Valencell, Moff and four others–wearables. Hello, Sleepace, Sproutling (baby)–sleep tracking. Klara, SkinVision, Spruce–dermatology apps. Beyond the gloomy forecast for unicorns (Theranos being the Child on the Milk Carton), how many of these corporate wellness programs, sleep trackers and wearables will be around in 2017? Mobihealthnews’ 2015 funding roundup. 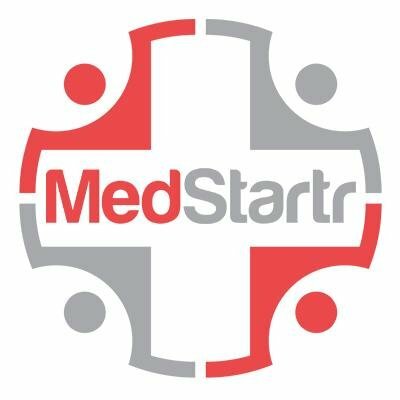 MedCityNews takes a lighter-hearted (I think) look at 2016 deals. IBM would buy athenahealth mainly for its EHR and practice management data, plus data aggregator Validic, to beef up Watson; 23andMe, past its two years of troubles after stepping on FDA Superman’s cape, would buy PatientsLikeMe (endangering its community shaped credibility? 23PatientsLikeMe?) and the best–Theranos bought by Boston Heart Diagnostics/Eurofin (EU lab testing giant), which would reduce this unicorn to a pony…but one that might make it. Theranos also made VentureBeat’s list of Likely Carcasses in the Valley of Unicorn Death (to quote the article’s author). Chris Seper’s Deals He’d Like To See. An antidote to Dan Munro’s top-down and pessimistic vision of healthcare transformation (having much in common with Ezekiel Emanuel’s, see below) are two parallel prescriptions on integrating digital health into our healthcare systems and maybe, just maybe, transforming it. The first acknowledges basic reality: we have all the health tech and funding we need right now. We are way beyond the fictional one device, app or service that will deus ex machina and transform healthcare. What we in the field need to do is integrate them, measure (and integrate) the data, get these systems and services into the home and–interestingly–seek out atypical early adopters. Your users/patients may not be the sexiest market for cocktail party chatter–older adults, the developmentally or cognitively disabled–and you’ll have to think beyond smartphone apps, but here is an opportunity to make an impact on a real, large, high-need and open market which can improve care, outcomes and reduce/redistribute cost over time. How The Digital Health Revolution Will Become A Reality (TechCrunch) Hat tip to reader Paul Costello of Viterion Digital Health. Qualcomm Life, known for building partnerships with independent companies to form a continuum in transitional/chronic care management utilizing the HealthyCircles platform [TTA 19 Dec 14], yesterday announced not a partnership but an acquisition–Capsule Tech, a company that builds systems for healthcare facilities, mainly hospitals, to collect and integrate data from myriad medical devices. Their medical device information system (MDIS) is dubbed SmartLinx and is used by 1,930 hospital clients in 38 countries. Headquartered in Andover, Massachusetts, Capsule has international offices in France, Singapore, China, Australia, UAE and Brazil. Majority owner was Turenne Capital, a French PE company. Acquisition terms were not disclosed. Release. Also Forbes, Neil Versel in MedCityNews. Update: Fortune is quite bullish on how this aids Qualcomm in narrowing the quality gap of data transmission between the home and the hospital setting. Cox Communications, the third largest cable and internet company in the US with ad media and business data divisions, is dipping more than a tentative toe in healthcare with last week’s acquisition of Trapollo, a program design/supply chain/logistics provider that currently works with multiple telehealth, telecare and monitoring device companies. Cox is clearly seeking another type of integration of their data carriage capabilities with systems and programs; they have also invested in HealthSpot Station’s virtual visit/telehealth kiosk and formed a strategic alliance with Cleveland Clinic. Release. Neil Versel’s columns also note IBM Watson‘s growth and development of its own Care Manager with Apple HealthKit/ResearchKit [TTA 10 Sep] and Salesforce’s entry into patient management with Health Cloud, with another big announcement rumored to be on the way. Breaking News Updated The winner of the massive, potentially ten year contract for the Defense Healthcare Management System Modernization program is defense computer contractor Leidos, which brought in Cerner and Accenture Federal Systems.The DOD announcement mentions only lead contractor Leidos, interestingly under the US Navy Space and Naval Warfare Systems Command, San Diego, California. The announcement was released just after 5pm EDT today. This combination beat the Epic/IBM and the Allscripts/Computer Sciences/HP bids. According to the DOD announcement, “This contract has a two-year initial ordering period, with two 3-year option periods, and a potential two-year award term, which, if awarded, would bring the total ordering period to 10 years. Work will be performed at locations throughout the United States and overseas. If all options are exercised, work is expected to be completed by September 2025. Fiscal 2015 Defense Health Program Research, Development, Test and Evaluation funds in the amount of $35,000,000 will be obligated at the time of award.” Modern Healthcare attended the embargoed press conference this morning and adds in its article that only one-third is fixed cost, with the remainder as ‘cost plus’, which could conceivably run the contract to the $4.33 bn ceiling over the 10 years. The system will be used in 55 military hospitals and 600 clinics, with an initial operational test as early as 2016 (Washington Post) and full rollout by 2023. Interoperability with private EHR systems was a key requirement (Healthcare IT News).Over the 18 year life cycle, the contract value could be up to $9 bn, according to the WaPo. The race to replace DOD’s AHLTA accelerated with the final failure to launch a plan to create a joint DOD-VA EHR in March 2013 [TTA 27 July 13], though hopes revived in Congress occasionally during the past two years [TTA 31 Mar]. It is also widely interpreted as a blow to Epic, which has been defensive of late about its willingness to play in the HIT Interoperability sandbox with other EHRs; certainly it cannot make Big Blue, which would undoubtedly have found some way to sell Watson into this, happy. POLITICO’s Morning eHealth had many tart observations today, mostly pertaining to the belief of some observers that Cerner will be strapped in meeting this Federal commitment and would find it increasingly difficult to innovate in the private sector. Guest columnist Dr Vikrum (Sunny) Malhotra attended ATA 2015 earlier this month. This is the third of three articles on his observations on trends and companies to watch. For those who attended the American Telemedicine Association‘s meeting in Los Angeles, the overarching trend was how a personal healthcare system is taking shape. The three pillars include: care anywhere, care networking and care customization. The ATA stage opened with a keynote speech by Dr Sanjay Gupta about celebrating new innovation and technology advancements. This is the year where healthcare models are being built around patients in the home to support patient autonomy.These three pillars of personalized healthcare are being made possible by disruptive technologies, wearables/implantables, social networks and analytic technologies to automate remote care. Wearables and biosensors allow patients to move anywhere without interfering with day to day schedules while allowing for optimized data collection. 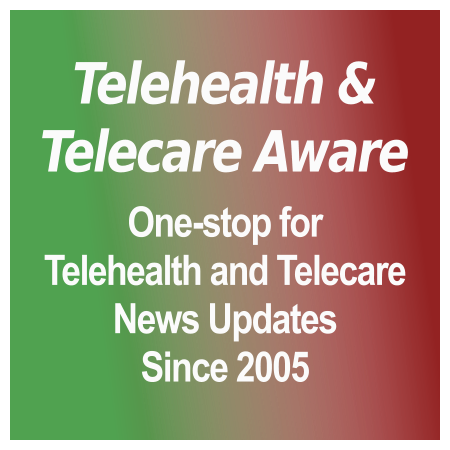 [grow_thumb image=”http://telecareaware.com/wp-content/uploads/2015/04/IBM-Watson-Announcement.jpg” thumb_width=”200″ /]A Day with a Big Exclamation Point for Healthcare Data and Analytics. In a series of press releases late NY time on Monday and a spectacular announcement at HIMSS (photo hat tip to Sandeep Pulim via Twitter), the recently quiet-on-the-healthcare-front IBM Watson has announced multiple major moves that re-position it squarely into the healthcare arena as the 90,000 lb. Elephant. IBM Watson Health is now a separate business unit headquartered in Boston. The Watson New York headquarters will be expanded, but that may be for their other businesses: travel, retail, veterinary care, cognitive computing, and IT security and support. IBM claims that Watson Health will be hiring up to 2,000 healthcare consultants, clinicians and researchers, folding in existing units such as Smarter Care and Social Programs. The IBM Watson Health Cloud is now their secure, open and HIPAA compliant platform for health-related data: physicians, researchers, insurers and health and wellness companies. Set that disease data free! A call to break down those data silos. The US Department of Veterans Affairs (VA) Veterans Health Administration (VHA) area is working with IBM Watson to develop and pilot a Clinical Reasoning System to assist and accelerate decision making by primary care physicians. The $6.8 million, two-year project will concentrate on acquiring and analyzing the data generated by hundreds of thousands of VHA documents, medical records, EMRs and research papers. The second focus of the VA-Watson relationship will also include mental health–supporting veterans with PTSD who constitute 12-20 percent of US veterans from Vietnam to present. The pilot phase, interestingly, will use simulated, not real, patients. The New York eHealth Collaborative’s fourth annual Digital Health Conference is increasingly notable for combining both local concerns (NYeC is one of the key coordinators of health IT for the state) and nationally significant content. A major focus of the individual sessions was data in all flavors: big, international, private, shared and ethically used. Another was using this data in coordinating care and empowering patients. Your Editor will focus on this as reflected in sessions she attended, along with thoughts by our two guest contributors, in Part 2 of this roundup. [grow_thumb image=”http://telecareaware.com/wp-content/uploads/2014/12/Topol-Compressed.jpg” thumb_width=”150″ /]The NYeC Conference was unique in presenting two divergent views of ‘Future IT’ and how it will affect healthcare delivery. One is a heady, optimistic one of powerful patients taking control of their healthcare, personalized ‘democratized medicine” and innovative, genetically-powered ‘on demand medicine’. The other is a future of top-down, regulated, cost-controlled, analyzed and constrained healthcare from top to bottom, with emphasis on standardizing procedures for doctors and hospitals, plus patient compliance. [grow_thumb image=”http://telecareaware.com/wp-content/uploads/2014/12/Topol-tech-adoption-compressed.jpg” thumb_width=”150″ /]First to Dr Topol in Monday’s keynote. The good side of people ‘wired’ to their phones is that it is symptomatic, not of Short Attention Span Theatre, but of Moore’s Law–the time technology is now taking for adoption by at least 25 percent of the US population is declining by about 50 percent. That means comfort with the eight drivers he itemizes for democratizing medicine and empowering the patient: sensors, labs, imaging, physical examination, records, costs, meds and ‘Uber Doc’. Is digital health neglecting The Big Preventable–medical errors? Preventable medical errors persist as the No. 3 killer in the US – third only to heart disease and cancer – claiming the lives of some 400,000 people each year. At the end of last month, this Editor questioned the efficacy of our current state of ‘consumer engagement’ in Patients should be less engaged, not more. The ‘less engaged’ was a call for simplification: regimens and devices which were easier to use, less complicated and far easier to fit in everyday life. (Aesthetics helps too.) Back in 2013, HeartSister/Ethical Nag (and Canadian) Carolyn Thomas called for health app (and by inference consumer engagement) designers to ‘skate to where the puck is going’–as in “For Pete’s sake, go find some Real Live Patients to talk (and listen) to first before you decide where you’re going!” Often it seems like these apps and platforms are designed in a vacuum of the entrepreneur’s making. The proof is the low uptake (Pew, Parks, IMS) and the apps’/programs’ lack of stickiness after all this time (Kvedar 8 Sep blog post).